Tank versus tankless water heaters: while it mightn’t have the same level of hype behind it as Mac vs. PC, Ford vs. Holden, or Coke vs. Pepsi, this is a question that often ends up igniting passionate debate – in the plumbing world, at least! And if you need your hot water system replaced anytime soon, it’s a conversation you’ll want to start paying attention to. There’s no hard and fast answer to the question of which type of heater is best for your home. Both has its own unique advantages and weaknesses – the one that’s best for you will depend on your needs. So, how do these long-time rivals stack up? What’s the difference between the two? Luckily for us, the names say it all: one uses a tank, and the other doesn’t. Tank water heaters (or “storage systems”) function by maintaining a reservoir of hot water on standby. In our experience, these systems are generally more common in Melbourne. Of course, that doesn’t necessarily mean they’re better – they’ve also been around for much longer! In the other corner of the ring, we have tankless systems (also called “instantaneous systems”). Like the name suggests, these don’t maintain a reservoir of hot water; instead, they heat up water on an “as-needed” basis. What do these differences mean for you? Which one is more energy-efficient? Like we mentioned above, storage hot water systems maintain a large reservoir of hot water. As such, keeping that water hot and ready for use uses up energy. That means tank water heaters are almost universally more energy-intensive than their tankless counterparts. They consume gas or electricity throughout the day to maintain a full tank of hot water. By contrast, tankless hot water systems don’t have this problem. Since they heat up water as-needed, they only use power when you turn on your taps, dramatically lowering your power bill. According to some studies, tankless systems are on average 22% more energy-efficient than tank storage systems! Which one supplies hot water faster? 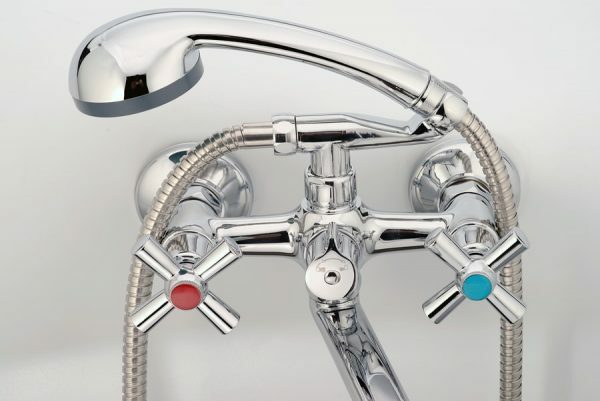 Despite the name, “instantaneous” tankless hot water systems don’t actually work instantly. Your system needs time to heat up water – add that to the amount of time it takes for hot water to travel down your pipes and you could be waiting longer than you would with a tank system. Since a tank water heater keeps hot water in reserve however, you’re guaranteed hot water the moment you turn your taps on. In fact, we’re not 100% sure why tankless systems get to bear the name “Instant” at all! Which is better for a large family or busy household? Anyone with a large family and a storage hot water system knows that sometimes, there just isn’t enough hot water to go around. When you have multiple people living under the same roof, you end up using a lot of hot water. If too many people take back-to-back hot showers, you could end up exhausting your supply of hot water. If this sounds like your home, a tankless hot water system might be what you need. Without the physical limitations of a water tank, your family can comfortably shower without running out of cold water. So far, we’ve focused solely on how your hot water system performs once it’s in-place. But which one’s better to install? On the one hand, tank storage heaters have the disadvantage of requiring a considerable amount of space. If you live on a small block or a row of townhouses, a tank storage system mightn’t be viable. On the other hand, tank storage systems are just easier to install in most cases. A lot of this is because up until recently, tank storage systems ruled the roost. Most homes are already set up for tank storage systems. Not to mention, they’re not compatible – it’s quite expensive to retrofit a tankless system into a set-up designed for a storage system. On top of that though, tank storage systems are cheaper to buy up-front. That’s because they’ve been around for much longer and all of the kinks have been worked out. Navigating the waters of hot water systems on your own can be treacherous. Luckily, Watermaster Plumbing is here to help! Our team of hot water plumbers in Brighton help you choose the perfect hot water system for your home or business. Our contribution doesn’t just end there. After helping you choose a system, we also perform hot water installation, applying our trademark workmanship and attention to detail. Give Watermaster Plumbing a call today on 1300 156 650 or fill in this form and we’ll get back to you as soon as we can.